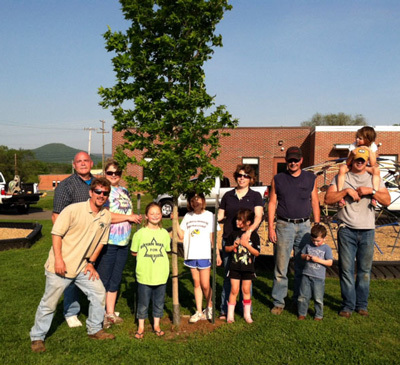 Moorefield Elementary School was the recipient of a WV Project CommuniTree kit to plant 24 flowering trees that included Eastern Redbuds, Flowering Dogwoods, and Serviceberries. Principal Wade Armentrout completed the application and organized the project. 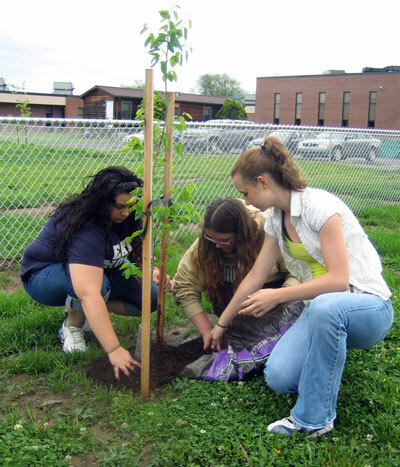 The students learned the proper method for planting trees and the benefits of increasing urban tree canopy. As seen in the pictures, they had a great time and we look forward to working with them again in the future. 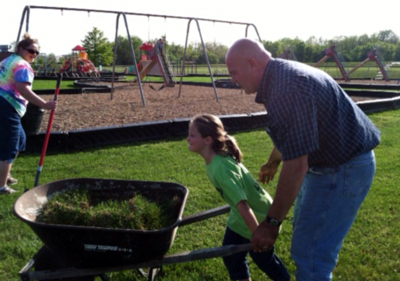 Principal Armentrout and his students were assisted by CTree Representative Carla Hardy from the West Virginia Conservation Agency. 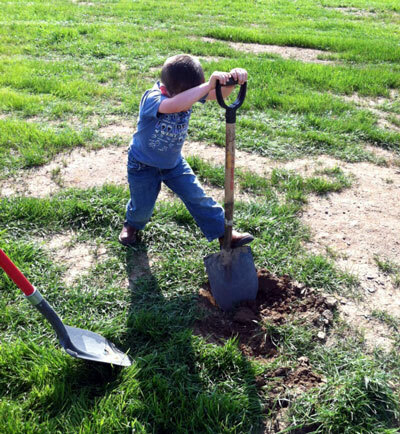 No hole too big, no shovel too small! Group photo after a hard day’s work. 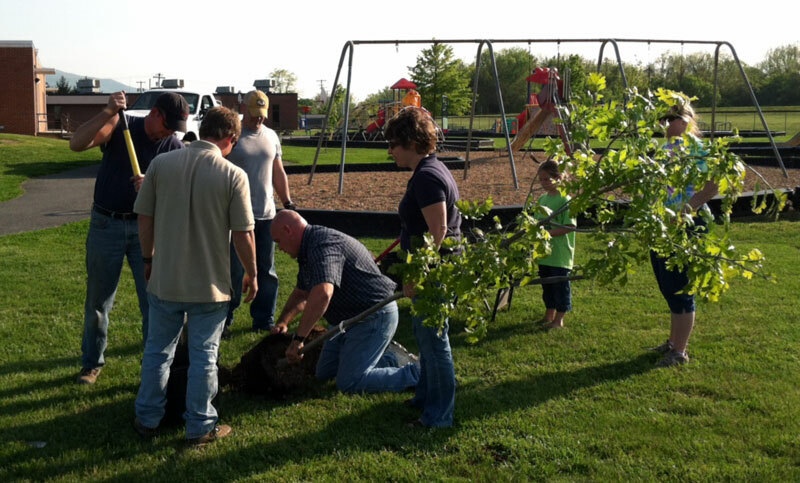 It takes a village to plant a tree.